All FADSS services are conducted at the request of the Superintendent and can be initiated with a telephone call to the FADSS office in Tallahassee. FADSS works with the Superintendent to determine which service would be best suited for the school district. The end product of each service is custom designed to meet the needs of the district. FADSS works with the Superintendent on financing arrangements. The required element for any service is a letter of request from the Superintendent. 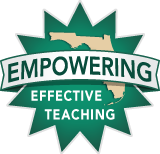 If you would like further information on our services to school districts, please contact FADSS at 850.577.5784 or dmorell@fadss.org.